Agreement of thought, you need not have with everyone and on everything that comes your way. Just as others have the courage to persuade you and influence your decision to be in alignment with them, you should also have the will and gambit of words to give it back to them in a way that they understand. There is nothing wrong in being in agreement with someone else and their thoughts, but what about your individuality and your thoughts? How you perceive the situation also tells a lot about you and your sensibilities and capability to have a grip over the situation. With logical, tactical and thoughtful explanation, you would be amazed to know that people would be in your agreement even after your strong disagreement. 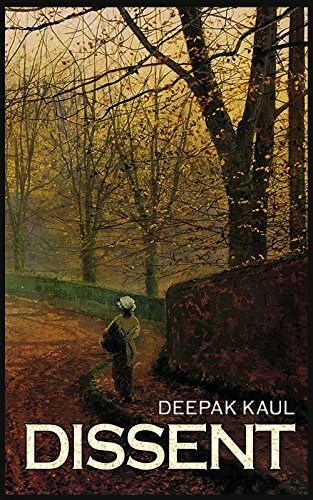 I recently read Dissent, a collection of short stories by author Deepak Kaul, who has written several books like Corpokshetra, Game of Codes and a few others. Dissent by Deepak Kaul is the outcome of his submissions for the Write India Campaign by Times Of India, which was conducted between July, 2015 and May, 2016 and the writers/participants had to submit a story as per the prompts shared by an eminent panel of best selling authors selected by Times Of India. Dissent is a collection of 11 fictional short stories titled as Dissent, Hell’s Angel, All In, L.C.A., Mirage, Taboo, Void, Queens of Hearts, Love Jihad, Karma Agni, How Blue is my Sapphire. All the 11 short stories are distinct and different from each other, yet there is a connection between all of them, the thought provoking ending. The topics being discussed in these stories are worth a praise and more praise for the way the thoughts have been articulated. The thoughts that the author wants to convey are very clear in the narration and there is less mess, considering that these are short stories. Everyday life and the unnoticed nuances of the same are being talked about in a meticulous manner that you will partially relate to and the remaining, you will wonder why didn't you think about. The title story Dissent, is set in the Pre-Independent India and is about the life of a girl from a village who grows up under the tantrums of her stepmother. There is a rebel in her who comes out when her family wants her to get married to a less deserving guy only for the business profits, she takes the ownership of not getting married and yet helping her dad survive the hard times. Similarly, the other stories also represent the rebel in people. 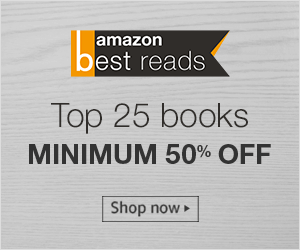 Other stories that I liked were Mirage, Love Jihad, and How Blue is my Sapphire. I would recommend this book to anyone who likes to read fiction and short stories.